Our industry is one that produces a lot of waste and from our equipment, a good bit of pollution. I’ve always found it ironic that we as individuals are driven by an overwhelming love of the beauty of nature and all it provides, but as one large machine, we seldom exercise a desire to protect that which we love on a larger scale. To a certain extent we are limited pursuing greener methods on all sorts of fronts, state and local ordinances, competition, even our customers. However, I recently heard about a project in Oregon that inspired me to push back on those restrictions to better do our part in saving our planet. 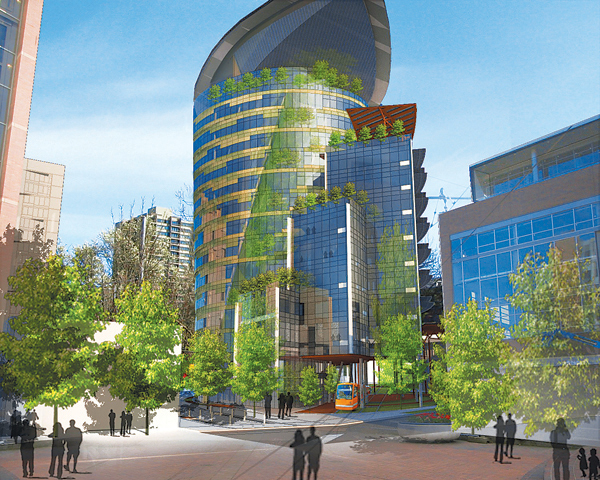 There is a new proposed development in Oregon that will have no carbon footprint. Seriously. Think about that. 100 percent of the developments water will come from captured precipitation or reused water that is appropriately purified without the use of chemicals. In addition, 100 percent of all stormwater and building water discharge will be handled on site. The development will also create 100% of its energy on site through self-sustaining energy generation and distribution systems. The kicker…this is a 200,000 sf facility. Now think about your water usage and the amount of water run off at your home. Say your home is 4,000 sf. This development will deal with 50 times the amount of water that you are. It is mind boggling yet undeniably inspiring that the developers and investors involved decided to pursue sustainability on this level. If they have the dedication to a more conscientious way of living, think about what we could accomplish in our own small spheres. 2.Frequent your farmers market and begin to buy local. 3.Use a rain barrel to water your garden. 4.Bring bags to the grocery store and everywhere else: I see so many folks bring reusable bags to the grocery store but rarely at places like Target, Walmart and other stores they could be used. 5.Embrace thrifting: The ultimate in reduce, reuse and recycle. This entry was posted in Uncategorized and tagged environment, net zero energy, net zero water on October 24, 2014 by iltvignocchi.